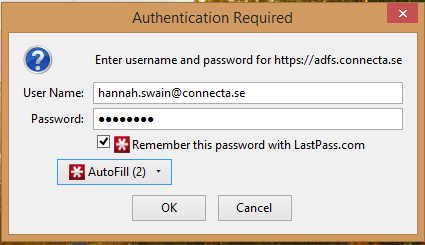 I had been frustrated with logging into an environment with ADFS authentication as Chrome does not support ADFS. My colleague, Daniel Karlsson, gave me the tip that Firefox does work with ADFS. Much to my pleasure, it turned out that LastPass and Firefox are a wonderful combination for logging into these environments. Thanks again! So, I have updated my post Tips for logging into multiple SharePoint Online environments, which covered LastPass, multiple sessions, multiple browsers, etc.